Oh fall, the most wonderful time of the year. 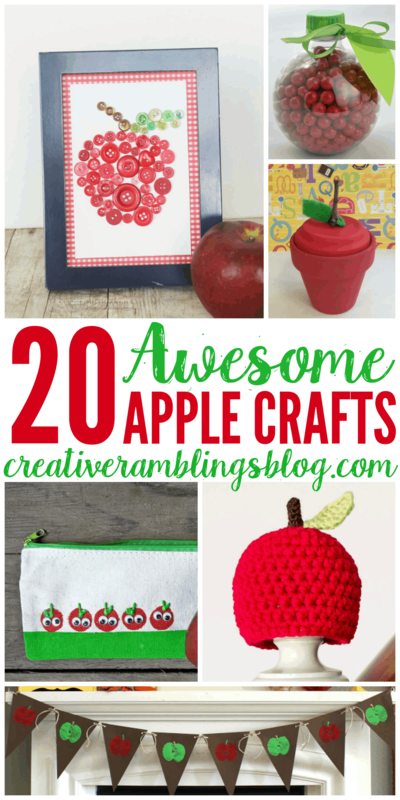 September is the perfect time to pick apples and create amazingly delicious things with them. There is not much I love more than putting on a sweater and spending time outside during fall, picking apples is one of those perfect activities that I have to do with my family every year. Once picked I like to bake and cook with all those fresh apples. 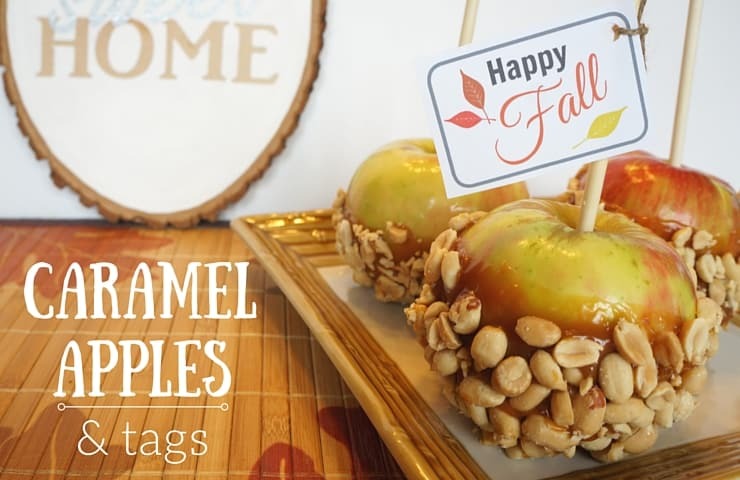 Today I created a simple caramel apply fall gift with free tags! 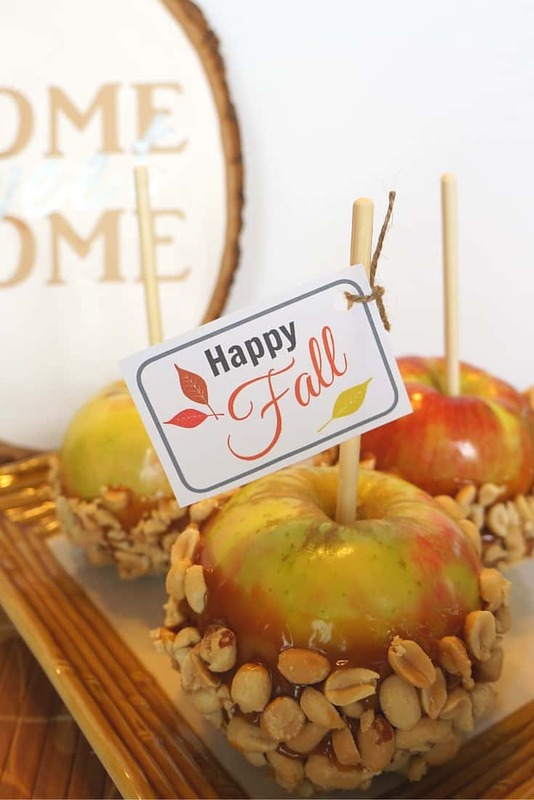 These are so simple to make but make a big impact on that special someone you give them to. This post contains affiliate links, you can see my full disclosure policy here. Peanuts, or whatever topping you want! This fall gift tag – feel free to use this for any gift or personal project. Please do not recreate or use this tag commercially. I started by putting the sticks into my clean apples. Then I dipped them in warm caramel and peanuts. 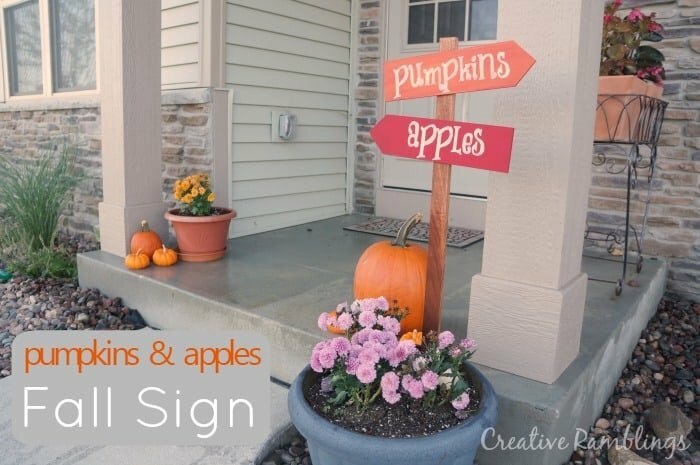 Once cool, I attached this fall gift tag. These can be wrapped in flat bottom cello bags and given to just about anyone this fall. 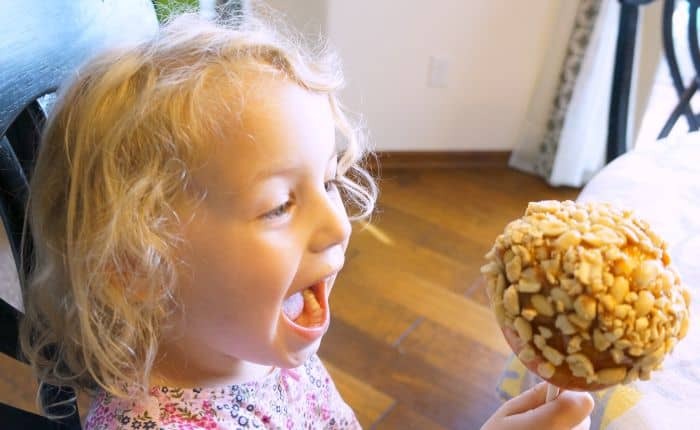 Who wouldn’t want to receive a sweet and delicious caramel apple, just because! 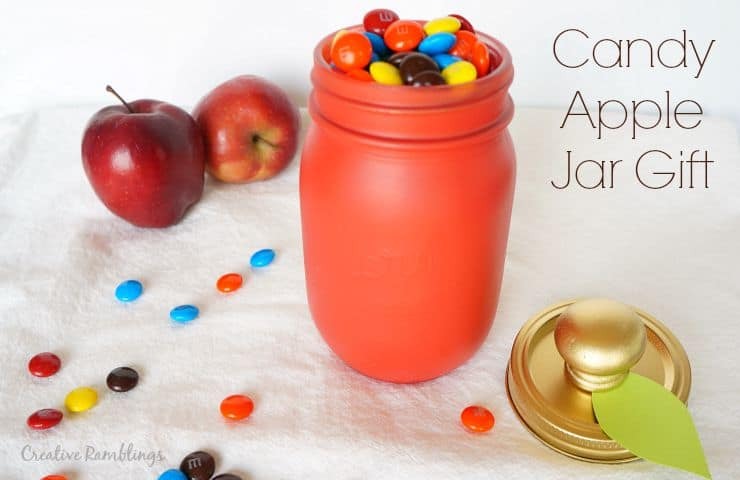 Are you a fan of apples? What is your favorite variety?